Cee: What up, fellas? Peace for chatting with us. What's good? IGC: Thank you brother! It's always a pleasure to chat with The Movement Fam. Cee: Alright, so let's back this up (pause) and let us know how In Good Company came to be. Whisper: Well, in 2010 we came together to make a mixtape. A-Diction (Boltz and Breach) as well as Syntax and myself (Whisper) were all working on solo albums and thought it would be cool to hook up and make a promotional mixtape. It made sense that we could all help each other out with putting something together before our albums dropped. But I think we were all surprised by how quickly it came together and how much we liked what we did. It was packaged and treated like a mixtape, but it was really an album of completely original music. People ended up really feelin it, so this year we regrouped and said, "let's do a proper album!" We started really working on it in April and by October 7th, it was released. Cee: So being this is a group effort and all y'all are solo artists (well, aside from Boltz and Breach for the most part), how was the dynamic in the lab compared to your own stuff? Breach: Well Boltz is now a baby daddy, so he took a back seat on this album. He thankfully was able to bless one of the tracks, but IGC is now officially comprised of me, Syntax and Whisper. The main difference with IGC compared to passed projects for all of us is really time and energy. We're all really into what we're doing together so things come together quite quickly. We all have our own skill sets we bring to the table, so we save time and are energised by each others enthusiasm. Cee: Was the general process of putting this project together any different, or even difficult, as there were more ideas and egos (to an extent) to consider? Whisper: Haha! Well, there are three of us that are in the group and we're all pretty diplomatic. When ever someone felt differently about something or had an idea, it was up to the others to accept or reject that idea. As far as process goes, I'm the main producer on the album, so we get in my lab and vibe out. 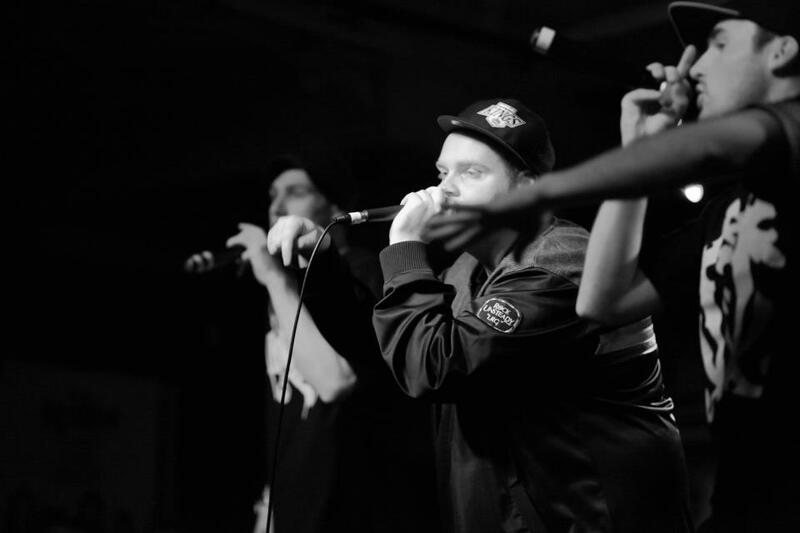 I oversaw the musical side of things with the beats, while Breach and Syntax brought a lot of the lyrical concepts to the table. It was sometimes challenging because the bulk of the work was handled by me during the production faze. But once the album was done, the other boys were able to step in and take on the promotional side of things. We each have our roles. I'm the beats guy. Syntax is the graphic designer and Breach is the driver, haha! Cee: How did y'all get Obese to distribute the project? Whisper: I've known Pegz for a minute now and have a really good relationship with him. He's always been really supportive of what I do. Also, last year Obese released A-Diction's album, so when we came to him with this project he was down from day one. Legend! Cee: How has the response been thus far? Did you have any goals? Syntax: Pretty much everyone who hears the album really loves it. Which is awesome for us! The trick is getting as many people hearing the music as possible in this over saturated market. People are constantly bombarded with new music and advertising, so it's a challenge getting their attention sometimes. I think our main goal for the next little while is to do as many shows as we can and expose as many people to our music as possible. We really feel like we have something special. So it's about proving to people that we're worth their time and attention. Cee: I'm assuming y'all have been on your grizzy promoting the album, doing shows and all that jazz. How's that been so far? Breach: So far it's been great! 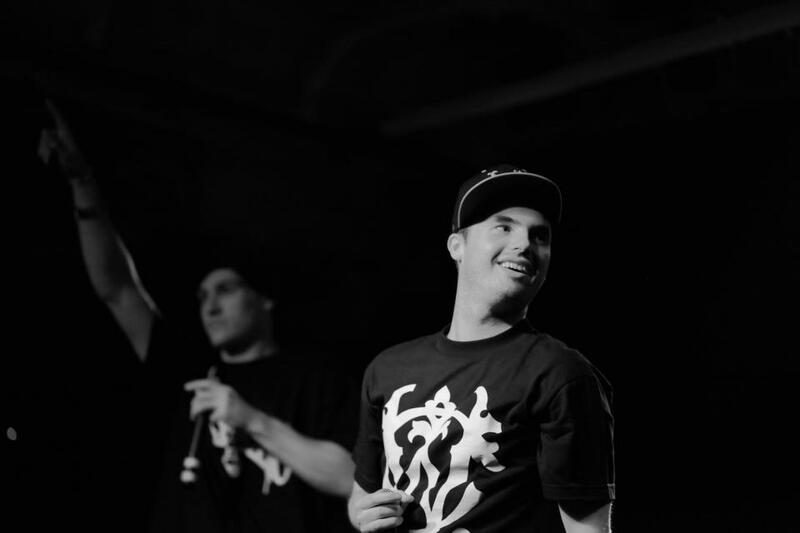 We did a gig with Urthboy and Pegz at the Espy a while ago. That was probably the best gig I've ever done. We got up on stage and played to a packed room where no one knew who we were at the start. But by our third track, the whole place was going off for us! It was sick! We've also done a few shows supporting Mantra for his tour. Also we're having a joint album launch with our fellow label mate Eloquor at Revolver on December 17th. We both recently released projects on the label Myspherical Entertainment, so it's a family thing. That's gonna go off! There's a couple of other things on the way too. We're just gonna try and keep it movin. Cee: Gimme all y'alls snapshot on how you feel Australian Hip Hop is faring at the moment? Whisper: There's so many really talented people making and releasing really good music now! The scene has really grown and matured a lot and that's really inspiring! However, I'm not too sure how many people are actually buying music. So getting to the point where music is financially self sustaining is a bit tricky. But hey, I make music because I love it, so that doesn't really get me down anymore. As a culture, we're thriving! So it's great to be a part of that and contribute to the scene. Cee: Will there be another In Good Company album in the works? Syntax: We'll, actually there's a new little somethin' on the way. Just a little free release that should be dropping early next year. After that, if all goes according to plan, there'll be many IGC albums in the future. We really wanna keep this thing going because we all get along so well and we love the music that we make together. Hopefully people will keep wanting to hear it. If they do, we'll be here. Cee: What's up next from all you guys, whether individually or in a group situation? Whisper: Well, other than the next IGC release we've got some other stuff on the way. Syntax is alway busy writing and releasing music. You can expect new Syntax and Death Stars albums very soon. 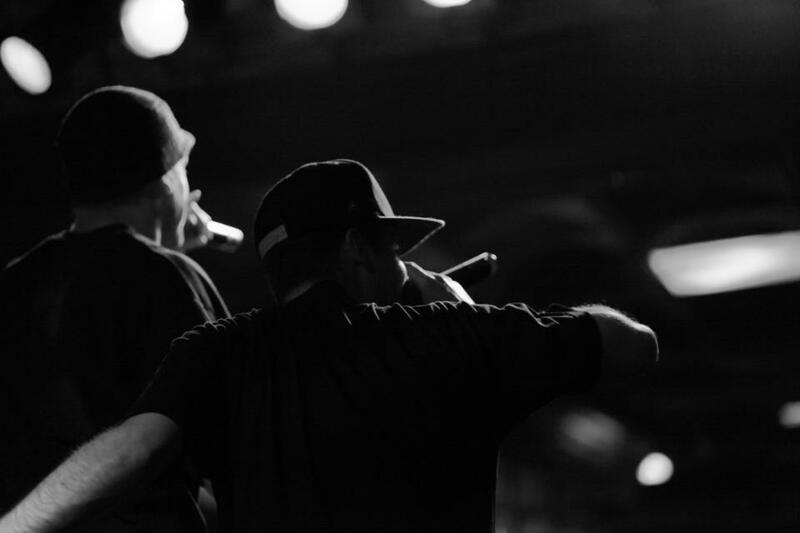 Breach is always writing raps, so you can expect him to be droppin heaters around the joint. 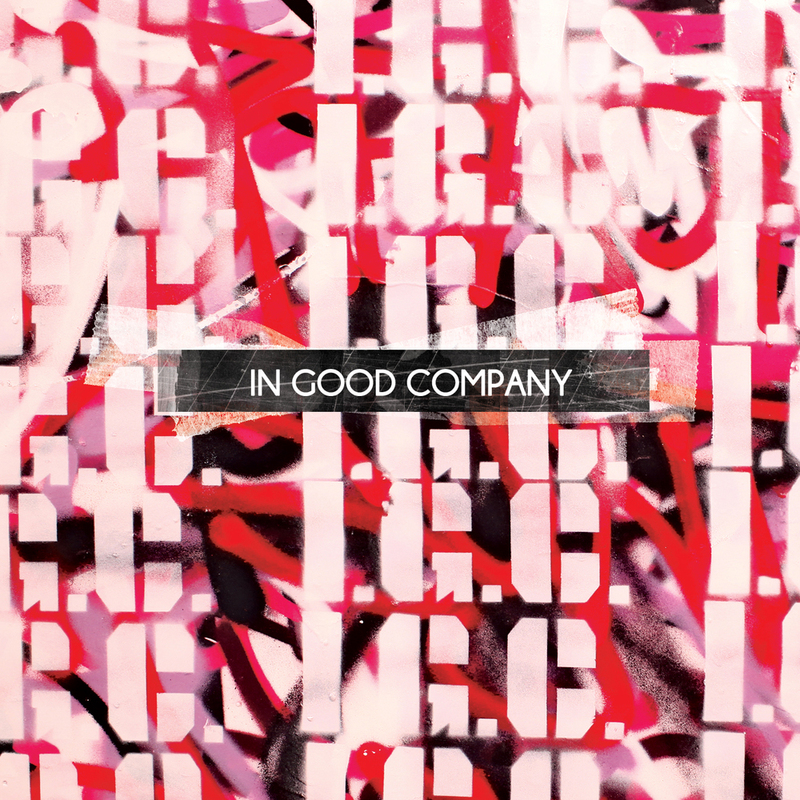 As for me, I'm in a group with my girlfriend Ginger Van Es who featured on the In Good Company album. Together we're called Macula and we make more electro soul type music. We're working on some stuff at the moment and I'm really looking forward to getting that out into the world soon as well. We like to stay busy. Ya feel me? Haha. Cee: How can folks cop the album? Cee: Hit us with the multitude of social media links where the people can find y'all. Cee: Thanks for your time, blokes! IGC: Any time homie. Peace!